WANT TO TAKE CONTROL ? 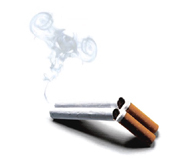 with a single session you can be rid of your unwanted smoking habit forever. Change your relationship with food forever, and achieve your desired weight and body shape. and enjoy situations you were unable to before. Use that stress energy as an inner resource of positive energy to enhance your performance ability. Please note: Hypnotherapy is a complementary therapy and it is never recommended as an alternative to conventional medicine. You should always seek advice from your doctor.